Reports are that only 50% of tickets to the Summer Games in Rio de Janeiro, starting on August 5, have been sold. For the Paralympics in September, only 12% have been sold. The Brazilian economy is shrinking during its worst recession in 25 years. The President of Brazil is under threat of impeachment for a decision to include an ex-President in her cabinet, someone under investigation for receiving bribes in the Petrobras corruption scandal. The Zika virus continues to spread in Brazil, a disease where there is now “strong scientific consensus” that it is a cause of microcephaly in newborns. Those perhaps are the biggest factors that will result in many empty seats of a possible 7.5 million that are available for the Rio Olympics. What’s interesting is that empty seats at Olympic Games is a recurring headache and embarrassment for Olympic organizing committees. At the 2004 Games in Athens, “only about two-thirds of the 5.3 million tickets were sold“. 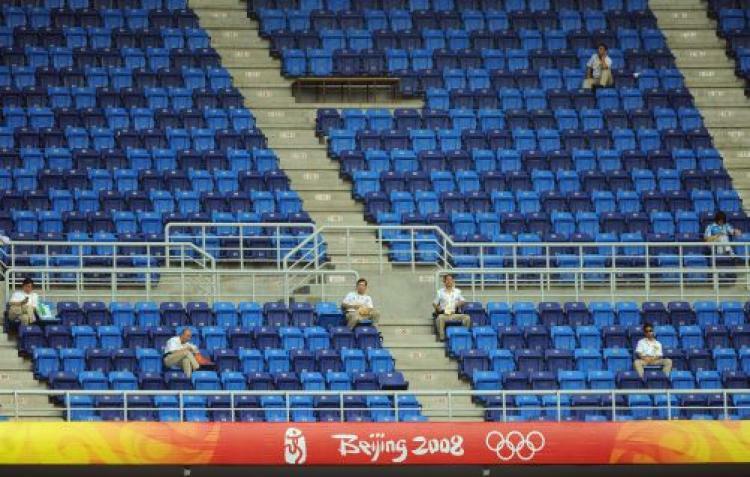 At the 2008 Games in Beijing, organizers claimed that all 6.8 million tickets were sold, and yet empty seats blotted arenas throughout the Games. 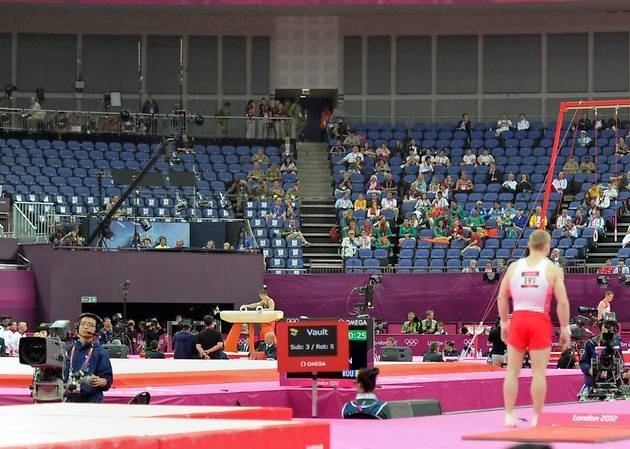 And at the 2012 Games in London, where pledge after pledge was made by organizers to fill the seats, and that “more than 20 million applications were made for the 6.6 million available seats”, the London organizing committee could not prevent the empty-seat phenomenon. Beijing pointed to another group – agencies that buy and re-sell tickets to people overseas or to people locally anticipating a spike in demand during the Games. Westerners in Beijing were often asked to pay ten times the face value of a given ticket, although it appears scalpers may have over-bought, often re-selling tickets at face value. In other words, Beijing may have had the same issue as Athens and Rio – not enough demand to meet the supply. Whatever the reason, it is a likely bet that if you want tickets for events at the Rio Olympic Games in August, you should be able to land tickets. Here’s your chance! Buy tickets now for the greatest sports spectacle in the world. Click here for a sales agent near you. Posted in Business, Other Olympics, Others, Rio Olympics and tagged Athens Olympics, Beijing Olympics, corporate sponsors, economy, empty seats, London Olympics, Petrobras, rio olympics, scalping, ticekt sales, Zika Virus. Bookmark the permalink.